Jan 31, 2016: Added support for any theme, any checkout extension (Opencart 2.x version only). Support for free in case of incompatibility. New! -> support for any theme, any checkout extension (Opencart 2.x version only); Support for free in case of incompatibility. Frontend (checkout to see available shipping methods). 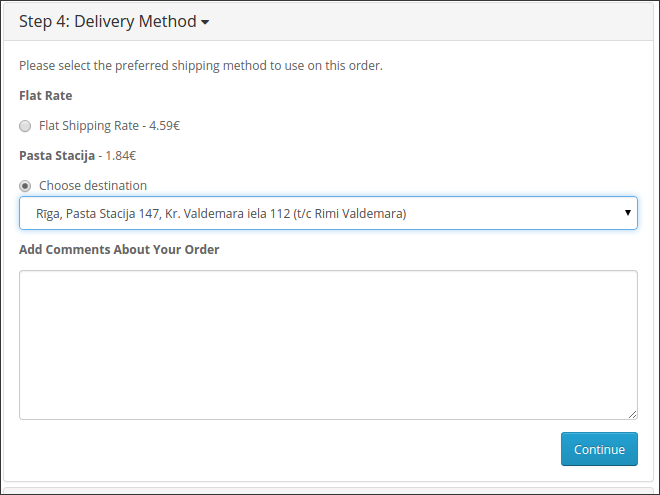 For Opencart versions 1.5.x you must have vQmod to select destination points in drop-down list at checkout. You do not need to install vQmod on Opencart versions 2.x. Submit your request at 1.Partneris Contact Form or report issue on Issue Tracker.